On LinkedIn there are millions of users but not all profiles are created equally. Many are a direct reflection of their resumes, but at a recent pilot event held in Capitol Hill, LinkedIn instructed the crowd to think of their profile as a “living, breathing” way to get a new job, customer, or even volunteer opportunity. That can be accomplished by adding rich media, from pictures to videos to links of your work. 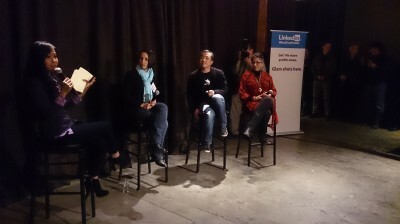 To help those in attendance achieve those goals LinkedIn brought together a panel of experts to speak about how LinkedIn has helped them grow their brand. It included: Peter Chee, CEO and chief pot stirrer at thinkspace; Carol Vecchio, founder of Centerpoint Institute for Life and Career Renewal; and Alexis Baird, Product Manager for Profile at LinkedIn. It’s the first time the San Francisco-based company held an event like this one. They chose Seattle because of the large number of startups here and the diversity of the city. That wasn’t the only time the eager group of nearly 200 entrepreneurs, small businesses, and students were encouraged to show their personality especially on a professional website. Alexis explained the importance of sharing what you are passionate about. Adding your hobbies could lead to a professional ice breaker. When talking about how LinkedIn has worked for him, Peter described what he called his “Alex from Target moment” a few months ago. It began with posting a long form blog on his LinkedIn page late one night titled “Questions To Ask Before Quitting Your Job To Work At A Startup.” It was part of an event promotion aimed at helping those wrestling with the same decision. Several hours later the post had 3,000 views and eventually ballooned to more than 92,000 views worldwide, hundreds of comments on LinkedIn, and it helped sell out the event. Peter said the post “created value” for the event, making it a bigger success than he initially anticipated. It’s the perfect example of using personal experience to connect with your audience. So maybe you’re not an established business owner with an expansive network and more like me. I’m in the midst of changing the course of my career and need help with the transition. Peter provided other actionable tips. For example, after meeting someone at a networking he suggests including “why you enjoyed the conversation” in your LinkedIn message. And don’t procrastinate. 1) Tailor your profile around what you want to be doing. It’s not necessary to list every job you’ve held. 2) Avoid job titles and use statements instead. The LinkedIn team also offered profile makeovers. I found this one-on-one time to be invaluable. Crystal Braswell offered me tailored tips that I utilized as soon as I got home. They included changing my profile picture because she said I looked younger in person. (Yikes!) The changes instantly made my page look better. I’ve already received positive feedback which let me know I was on the right track. Whether or not you think of yourself as being photogenic the experts say don’t ignore your profile picture. 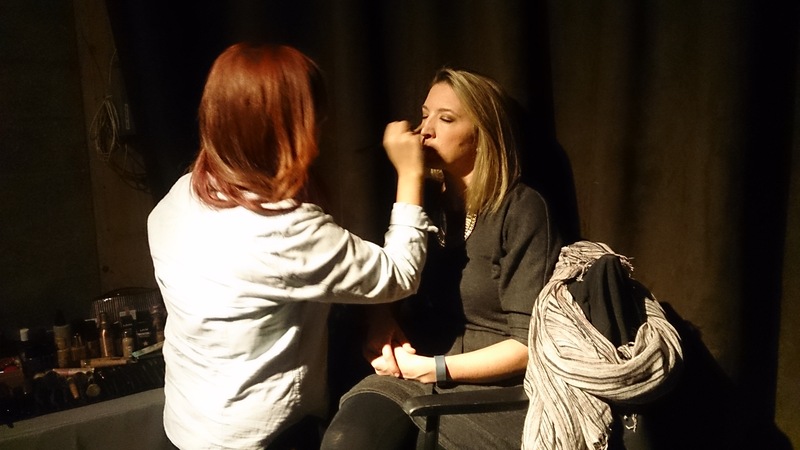 The LinkedIn team converted a small area into a professional photo shoot complete with make-up artist. All night this booth had a continuous line. Your profile picture is one of the first things people see and taking the time to ensure it’s representative of who you are is important. By the end of the event I felt rejuvenated. Receiving usable tips and being in the company of others who are working on improving their digital footprint helped recharge my career batteries. Change isn’t always easy but events like #RockYourProfile showed me that improvement isn’t an insurmountable task. Here are more Growth hacking with LinkedIn tips from Peter Chee. The Redmond thinkspace office had its first Acceleration Services event to talk about the importance of project management. The event was held on Friday, May 30th with panelists Liz Pearce, CEO of LiquidPlanner; Trent Scott, CEO of Rainleader and Director of Sales and Marketing at Mouseflow; and Brenda Reed, Project Launch Manager at thinkspace. Josh Anderson, CEO of One into Many, was our moderator. Notable take-aways and tweets from the people that were there! “The benefits of having a project manager (PM) on your team are ten-fold. A PM can help you identify what constitutes a project, help you define your objectives and overall goals. They will hold team members accountable for their project roles and responsibilities. A PM will also keep the project within budget, on time and ultimately deliver what the customer wants!” – Brenda Reed, Project Launch Manager at thinkspace. 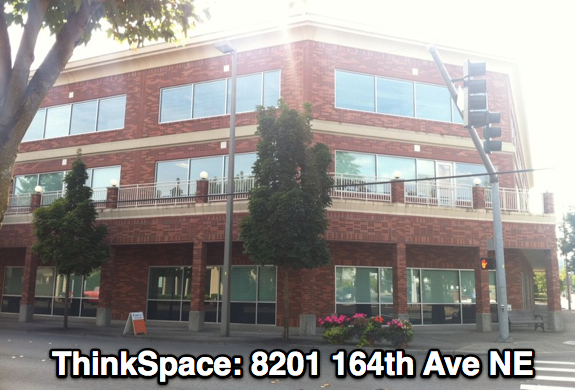 Come to thinkspace in downtown Redmond. Our address 8201 164th Ave NE, Redmond, 98052. Feel free to park in any unlabeled spot in our downstairs parking garage. If the garage is full, parking is free on on all of the neighboring streets. If you commute via public transportation, there is a huge Park & Ride only two blocks away from thinkspace. What will the introductions be like? We are working on this – and it will be fun. The aim is for everyone to have a chance to say something, and for these introductions to start priming the pump for later discussions. Expect the traditional Mind Camp game of Rock-Papper-Scissors to take place! What else should I expect? How do I participate? You are expected to participate in some fashion, so come ready to share the things you’ve been working on or that get you excited. Do note that Mind Camp is an NDA-free zone, so if you can’t talk about it, don’t bring it up. See Getting Ready for Mind Camp – The Philosophical Guide for an explanation of the unconference concept. Room space, Wi-Fi, power outlets, lunch, dinner, breakfast. We will have two rooms with projectors, and two LCD flat-panel televisions. Wanna bring an Xbox 360 and Kinect? Go for it. If you need or want anything more that what is provided, then you’ll have to bring it with you. Lunch is sponsored by Monster Costume, and Alki Dog will be serving it up. They’ll also be doing breakfast on day two. There will be a two-hour break you to grab dinner from 7:00-9:00pm. We will have the WhereYaAtMatt food truck serving up some goodness, sponsored by Uber Seattle. If you don’t like those choices, there are a bunch of local places to grab food, but of course, you’d have to pay for that on your own! We will also have a bunch of snacks provided by PopChips. Puzzazz, one of the thinkspace member companies, is providing a bunch of board games for the event as well. It’s up to you, of course, but if you plan to stay overnight, you might want to gear up. Aside from the items mentioned above, don’t assume anything will be there. Bring what you need, especially for your presentations. Bring snacks and drinks; we’ll be providing lunch and dinner on Saturday and breakfast on Sunday, but we encourage people to bring stuff to share. It’s a social snack and drink mash-up fest. What will the rooms be like? A handful of conference rooms, plus two other areas set up for sessions. There are also a kitchen/dining areas, two common areas, and even space outside. It is gonna be a beautiful weekend, so we should take advantage of that. Anyone up for a photowalking session? We’ll identify the organizers and Camp Counselors, who are there to make sure you have a great experience. No alcohol allowed on premises. Please respect that decision. In addition, if you go out for drinks and get smashed, you won’t be let back in. No. Mind Camp is your event, and you can make of it what you will – but you’ll miss out on some very interesting things if you decided to leave! Seriously – overnight is where a lot of good stuff happens. Can we take pictures? Can we record audio and video? Unless you are specifically asked not to do so by another attendee, please feel free to document as much of the event as you can. We’d love to feature your videos on the Seattle Mind Camp YouTube channel. Seattle Mind Camp organizer, Andru Edwards has extended a 20% off ticket discount code to our community. If you’re interested in attending Seattle Mind Camp, please RSVP using ‘think’ as the discount code when registering for Seattle Mind Camp. If you live in the Greater Seattle Area, you really don’t want to miss this event. Check out Seattle Mind Camp’s YouTube channel for some videos from past events. See you there! On Saturday, July 16th we hosted the AT&T Developer Program’s Mobile App Hackathon! The event started first thing Saturday morning at 9am in our coworking space. Lightning talks from developer support reps started at 10am and by 11am the room was split into teams working away on different code ideas! We had 135+ developers networking, collaborating, and building apps all day- needless to say the room was buzzing! After a long day, 13 teams stepped up to the plate and demoed their apps to a group of sponsor judges and the other developer attendees. I was pretty blow away by some of the apps. Emergency Response System- app designed for efficient rescue communications during a natural disaster. Clockers– a time card tool that syncs with Google Docs. About Face– pulls up contact info using Face.com after taking a picture of someone. NoHo– a “consensual consent” digital signature app that will capture someone’s age, photo, and signature using DocuSign’s API. LunchPad.me– a group lunch planner designed to eliminate the hassle of deciding where to eat lunch as a group. HashMonkey– app that compiles twitter users who tweeted using a particular hashtag and enables users to auto-follow people on the list. DigDin (do it good, do it now)- app designed to help people help each other. Fishtank- an app that catalogs and identifies pictures taken of fish. Scan Survey– a consumer survey app that can be used by retailers to get real-time feedback and to provide rewards. QR Sync– QR code scanner that will catalog previous scan results. ScrachPad– Windows app that syncs with UberNote. My Kid is a Genius– app designed for parents who want to save their children’s artwork without physically storing it. Headshot– an augmented reality laser tag game using a Windows phone camera. Team Headshot won 1st place for their laser tag game designed for the Windows Phone. Interestingly enough, Team Headshot had one member who graduated from high school in June, and one team member who will be entering his high school senior year in the fall. 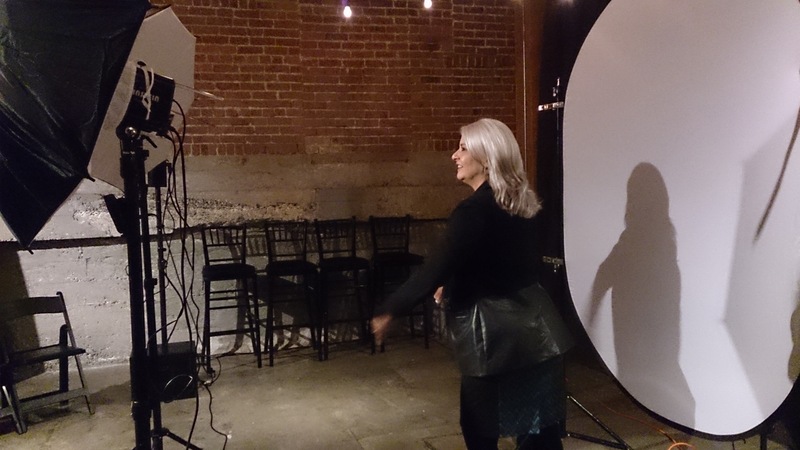 I think it’s safe to say that majority of the audience was impressed with the skill-level and creativity behind the Headshot app! 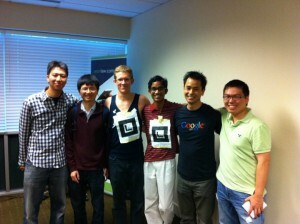 thinkspace was honored to host AT&T’s Mobile App Hackathon. We were thrilled with the attendance and level of engagement at the event. Stay tuned for similar developer events at thinkspace in the future! Thanks to Blazing Bagels, Noodle Land, and Red Bull for keeping us fueled throughout the day. 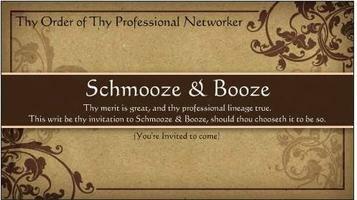 Schmooze & Booze is a monthly networking event designed to bring business professionals together to talk about something other than their work or business. I know, the idea sounds a bit strange when labeled as a “networking event.” However, keep in mind that in business you’re more likely to do repeat business with someone you know personally. Ultimately, the intention behind Schmooze & Booze is to support the community in building real and sustainable relationships with people that they wouldn’t usually converse with at an event. At the very least, you will definitely make a few new friends. Thou shall buy thy justified accuser one drink of righteous choice. That’s right. If you chose to violate the rules and talk about your business at Schmooze & Booze you will be required to buy the person you’re speaking with their drink of choice. It’s a fun way to keep the conversations going, and to fuel the thirsty. Schmooze & Booze attendees can opt to drop their business cards or contact information in a jar, and everyone’s information will be sent out the very next morning. If you met someone worth remembering this will be your opportunity to connect with him or her over email, LinkedIn, or your own preferred method of communication. This month’s event is happening this Wednesday, July 20th from 5:30-8:00 pm at the Sky Ultra Lounge in Bellevue. Please RSVP. I hope to see you there! There’s a new networking app called “CAMBadge“. I saw this app at the AT&T Mobile Hackathon that we held here last weekend. The CAMbadge is the name badge that always has your information correct and can help you remember the people you meet at events. Just tap the screen and it takes a picture of the person that tapped it. 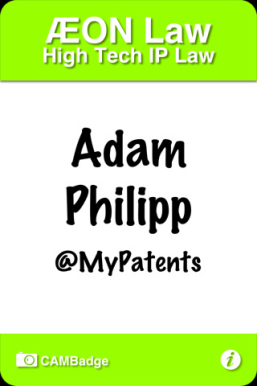 Adam Philipp is the creator of this Mobile App. It’s certainly an interesting app — I’m a person that is much better with faces than names. If I had an iPhone, I’d get this app and probably start using it at networking events. The other thing that Adam says is that people don’t forget meeting him now! I’ve known Adam for a few years now. He’s an EO Buddy of mine and we’re in EO forum together. Adam is a great guy and shares his knowledge openly. This is one of Adam’s strengths. When finding out more about Adam’s law firm, he told me that his firm bills out by the project instead of having a hourly rate which is great compared to attorneys who bill out by the 15 minute increments. The other thing that is really great about Adam is that he is totally engaged and shows a real passion for the tech and startup community. It’s not like he attends these events only when he needs to find a new client like so many other “service provider” folks do. He’s truly interested in building great relationships. Adam Philipp is the the Founder of ÆON Law (aeonlaw.com): Adam has been involved in building IP portfolios around computers, software and the Internet and since 1995. He can be often found out in the tech community looking for the latest new gadgets. ÆON Law is one of the first law firms to move to project-billing for their clients and completely remove billable hours as a performance metric for its attorneys. Wine Wednesday was a hit last night! We had a great turnout at the event and many of the attendees were totally new to the Redmond and thinkspace community (welcome!). Hosting events like Wine Wednesday is one of my favorite parts of my job. Wine Wednesday is designed to be a casual networking event. However, Wine Wednesday always turns into extended hours of conversation with new friends. At last night’s event we featured the Parnassus Group. The Parnassus Group has been a thinkspace member company for the past 2.5 years. 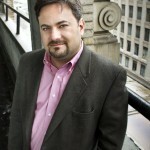 Led by Steve Broback, the Parnassus Group is responsible for organizing the first ever Twitter conference in 2009. They also host the Tweet House at major events like the Sundance Film Festival, SXSW, and the Consumer Electronics Show. The Parnassus Group provides cutting-edge data analysis tools to help their clients understand the conversation that occurs online regarding their brand. The Parnassus Group has worked with a variety of clients ranging from Fortune 500 companies to sole proprietorships. 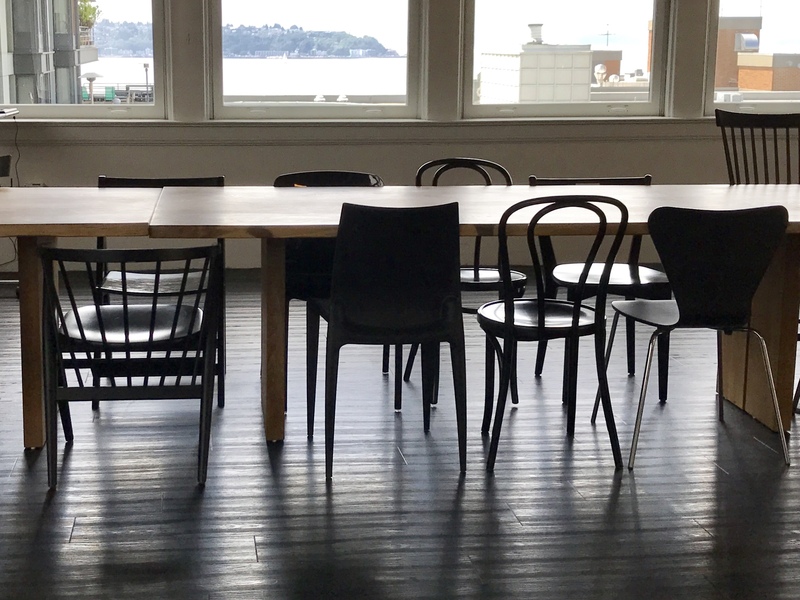 Needless to day, the Parnassus Group is up to some pretty big things, and we’re really lucky to have them inside our community here at thinkspace. Huge thanks to Darby Winery who provided their fabulous wine for the event. Darby is located in the heart of the Woodinville Wine Country. In 2010 Darby was named Seattle Magazine’s “Winemaker to Watch”…and I recommend that you do just that! Wine Wednesday is a monthly reoccurring event here at thinkspace. If you’re interested in attending the next one or any of our other events please subscribe to our newsletter for future event notifications! A hackathon is an event where developers meet to do collaborative computer programming. The term “hackathon” is a mashup of the programmer slang word hack, and a marathon (you know, that really long distance foot race- 26.2 miles to be precise). Some companies organize internal hackathons to develop new products and features as quickly as possible. A hackathon can also be a public event that’s open to the entire developer community. Despite the organizer’s goals, the intention of a hackathon is to get a group of developers working on code for a pre-determined period of time with the intention of making something. This Saturday, July 16th 2011 we are hosting a mobile app hackathon here at thinkspace. The hackathon is a part of AT&T’s developer program, and these events happen in cities all over the country. So far, we have over 150 RSVP’s and a jam-packed schedule. The term “hackathon” may be foreign to some, but to the developer community a hackathon is the ultimate collaborative event. With a room filled with 100+ other developers with backgrounds in all different code languages you’re guaranteed to learn something new. Saturday’s mobile app hackathon is an all day event. You will be creating an app with a team of participants. What’s cooler than creating an idea from scratch and building something in less than 12 hours? 3. Grow your network of resources. You will have an opportunity to meet tons of other developers with diverse coding expertise. It’s important to form relationships with developers who have different strengths and skills from your own. At some point you will have an idea that you want to develop and you will need a team of people to help you do so. Prizes will be presented to all of the winning app submissions. If your’s selected your team will win something cool! What’s better than spending an entire summer day indoors? Well, participating in a hackathon of course! Each of the 4 reasons above will make this event worth your time. At the very least, you will meet some really great people. Visit the Eventbrite for more information and to RSVP for AT&T’s Mobile App Hackathon this Saturday. Sales Symposium- Get Ready to Drink From the Fire Hose! Join us for an afternoon of peer learning and discussion designed to support your company’s sales goals. Matt Heinz brings more than 12 years of marketing, business development and sales experience from a variety of organizations, vertical industries and company sizes. His career has focused on delivering measurable results for his employers and clients in the way of greater sales, revenue growth, product success and customer loyalty. 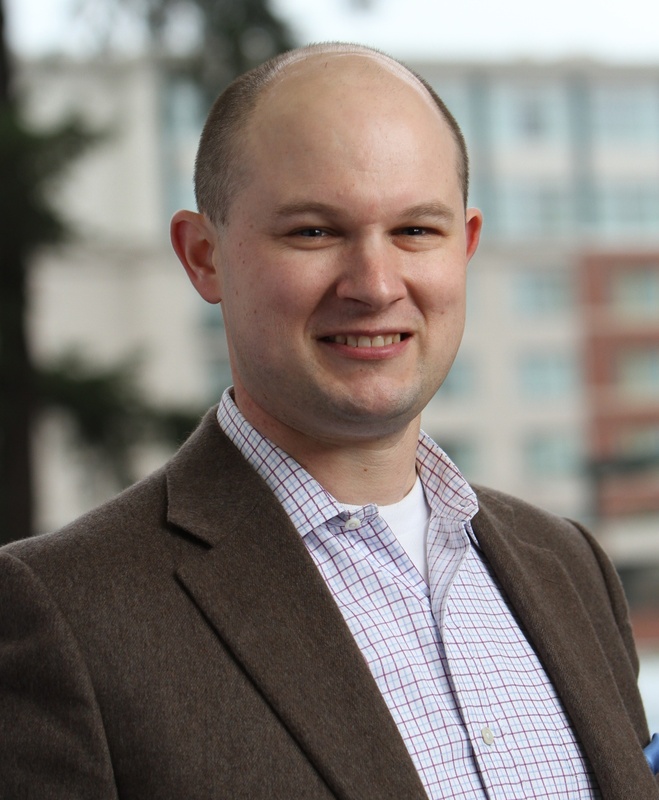 Matt has held various positions at companies such as Microsoft, Weber Shandwick, Boeing, The Seattle Mariners, Market Leader and Verdiem. In 2007, Matt began Heinz Marketing to help clients focus their business on market and customer opportunities, then execute a plan to scale revenue and customer growth. He launched Heinz Marketing formally in late 2008. 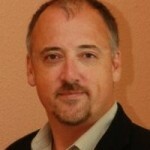 Brian Hansford is the Founder and Marketing Secret Weapon with Zephyr 47. Brian brings passion and focus to strategic marketing by following a comprehensive planning approach and ensuring brilliant execution and measuring the results. Zephyr 47 is headquartered in the 47th latitude of Redmond, Washington. Brian has developed marketing strategies and delivered successful programs for companies such as Cambridge Technology Partners, Citrix Systems, Captaris, and Open Text. His range of accomplishments include numerous global product launch programs, global alliance marketing strategies and programs working with Microsoft, integrated Web and social media marketing programs, and customer marketing through marketing automation. Come prepared to share your ideas, success stories, and even those grimaced failures! Your ticket to the event is your willingness to participate in the discussion. Seating is limited, so please RSVP on LinkedIn or send an email to events@thinkspace.com. https://thinkspace.com/wp-content/uploads/2013/11/website-thinkspace-logo-teal-155x69.png 0 0 thinkspace https://thinkspace.com/wp-content/uploads/2013/11/website-thinkspace-logo-teal-155x69.png thinkspace2011-02-07 12:38:342011-02-18 15:53:45Sales Symposium- Get Ready to Drink From the Fire Hose!